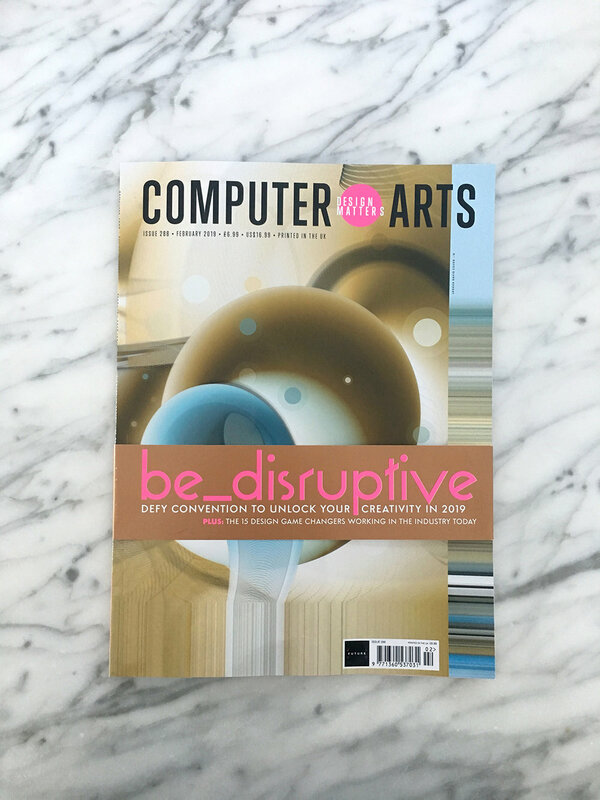 Incredibly humbled to be interviewed and featured in Computer Arts magazine in print vol.288 Feb 2019 issue. Interviewed by Tom May, myself, along with five other leading independent or agency creatives, were noticed and interviewed for a cover-featured article outlining how some creatives are breaking away from design conventions and conservative thinking. Doing something different in design not only takes guts and confidence but also trial and error, strength and tenacity to keep going because more than likely, it will be discouraging and you may get shot down. But it’s worth it to push through the ideas you have in order to create something different. Beautiful cover and background design throughout the article by Joshua Davis. Featured interviews in tandem with long-admired design duo Non-Format, Jon Forss and Kjell Ekhorn. As well as work and comments by ST8MNT, Studio INI, Snask, and Matt Howarth of ILoveDust.